Jaipur is famous for destination weddings and all possible beautiful weddings, from decor and venue aspect, are organized in this land of rich cultural heritage. There are galore of venues in Jaipur which look so royal and magnificent but when you do proper read or study you will find that actual Palace hotels are very few in Jaipur. Jaipur has few palaces, and you can count them on fingers, which have been converted into hotels. Other wedding venues in Jaipur are more of replica of these palace hotels. Palaces in Jaipur were constructed before Indian independence. These places have been residences to the royal families of Jaipur. Here we will take you through real Palaces in Jaipur which are even hotels and can be taken as wedding venues in Jaipur. JaiMahal Palace in Jaipur is the biggest and finest palace which is amalgamation of Mughal and Rajputi architecture. JaiMahal Palace was residence of Sir Mirza Muhammad Ismail, who was Diwan or Prime Minister of Jaipur in the year 1942-1946. JaiMahal Palace is situated in the middle of the city, hence it is a very convenient for the guests. This palace was also called “Natani Ka Bagh” in old times and even today the locals can easily identify Natani Ka Baagh with JaiMahal Palace. 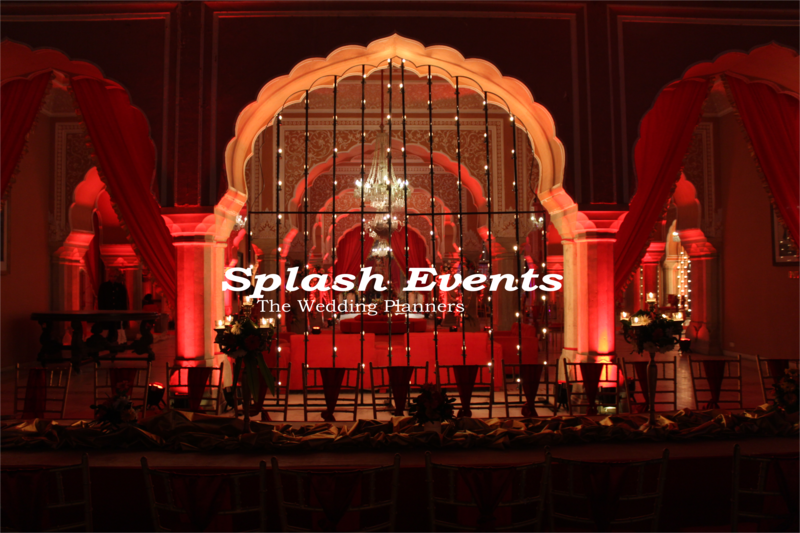 Rambagh Palace is another palace converted into high-end hotel and it is the popular high segment destination wedding venue. JaiMahal Palace and Rambagh palace are both perfectly managed properties of Taj Group. Rambagh Palace has been witness to weddings of Ambani family, and has been host to celebrities like Nicole Kidman, Brad Pitt, Angelina Jolie, so you know how picture perfect and splendid this Palace is. Lily Pool is another very beautiful palace and it was Rajmata Gayatari Devi’s luxurious estate till the last years of her life. Lily pool was her abode in Jaipur. Today, part of the Lily Pool is known as Taj SMS Function Centre and it is a grand wedding venue in Jaipur. It is situated in the centre of the city. Taj SMS Function centre is a cosy place for your family to stay royal like during the wedding and your guests to experience the grandeur of palace. It has a swimming pool, open garden and a banquet hall, which can be used as different wedding venue site for three different wedding functions -mehendi, sangeet, and wedding reception. Chomu palace, situated 30 kms from Jaipur is also a Palace with historical importance. This palace belonged to the thikanedaar of Chomu riyasat. Today Chomu Palace is run by a hotel group and it is a much liked destination wedding venue of Jaipur. 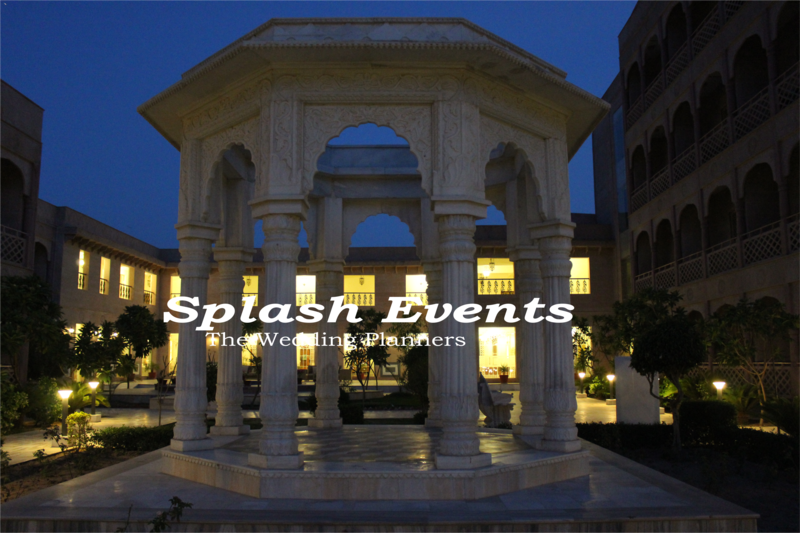 It is also a budgeted palace destination wedding venue of Jaipur. Also it is a choice of Bollywood movies shooting venues. Few popular Bollywood movies that have been extensively shot here are, Bol Bachchan, Bhool Bhulaiya. These palaces of Jaipur can help you create your picture perfect dream wedding, with the help of a wedding planner in Jaipur. Do visit them once, before you start your wedding planning and we promise you, you will be charmed by their serene beauty.